Use ConverterLite – the best Free RMVB to MP3 converter software. Convert a RMVB to MP3 file fast (and other formats). Converting RMVB to MP3 files now completely free! 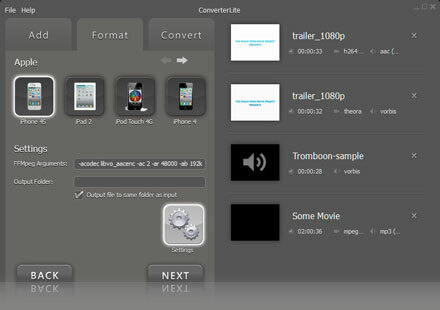 ConverterLite can be used for converting RMVB to MP3. It is simple to convert files and can be used for batch convert RM to MP3. Many advanced encoding options too. – Use as a RMVB to MP3 converter. 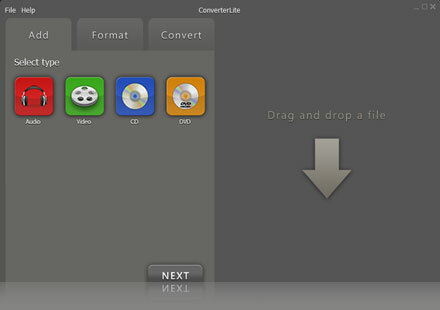 ConverterLite can convert to many formats of audio and video files: MP3, RM, WMA, QTS, QuickTime Audio, Real Audio, Wave format, WAV, M4A, MP4, AC3, PCM, AAC, FLAC, MP2, OGG, Vorbis, AVI, MPEG, DivX, MP4, M4V, XviD, H.264, WMV, FLV, QuickTime, MOV, DVR, and more.